If you are considering which field you want to go into later on in life, chances are that you are trying to also figure out what courses you should take in college, as well as what degree to get. This can be an extremely complicated decision, as the courses that you take in college are likely only going to open up specific doors in the future, so it is imperative that you really figure out which way you want to go as soon as you possibly can. Luckily, there are undergraduate courses that you can take, which are usually general, which can allow a person think about what they want to do in their career and not commit to any one major at first. One degree that you might consider getting is a business degree. Obtaining a business degree can be a great thing, as there are a huge amount of things that you can do with it. Business is everywhere and every single company in the world, just about, needs people that majored in business and know what they are doing. You can choose to take business courses that are guided around business marketing, which focuses on advertising a company’s products and services and gets the word out one way or another. There are accounting portions, business management, and a ton of different directions that you could end up going in. A lot of the time students will simply take general business courses and figure out which way they want to go once they reach the upper levels of business school. Following this undergraduate path usually lets a person get their feet wet and really decide which area of the business world is best suited for them. At this point, they can determine which way they want to go and focus their degree in that area. While a lot of people tend to think that their options when it comes to attending a University are based around where they live, or where they grew up, it is a great idea to search around where you might want to end up. For instance, if you know that there is a certain type of business, or a certain industry in the UK that you would like to eventually get into, you might want to go to school in the UK. Rather than trying to go to school in the United States, there would be a huge amount of advantages of going to school where you want to end up working. You would have the ability to network with people during your college days, which truly is one of the biggest ways that people end up getting jobs in the first place. You would also be able to get your feet wet by taking advantage of an internship in the area, or trying to get a job while you are in college at one of the companies you are trying to work for. Either way, being around where you want to work during college is ideal. Getting into law school is a huge achievement. Once you are there, it is important to do well enough to graduate. If you want to be successful in law school, it is important that you adapt proper study habits. The way that you studied in high school and undergraduate school may not be enough once you get to law school. There are several study tips that you should follow if you want to get good grades in law school. It is very important that you do all of the assigned reading when it is assigned. If you fall behind, you may never be able to catch up, as most professors will assign a great deal of reading after each class. When you do your reading, you should do so at a time that you are most alert. This will prevent you from falling asleep while you are reading, and you will be able to better absorb the material. You should also read far away from any distractions that might take you away from what you need to do. When you are doing your reading, you should brief the cases. This includes writing down the legally significant fact, the holding of the case, and the reasons for the court’s decision. When you brief the cases, you should keep them brief. You will waste a great deal of time if you get into too much detail with each case. Before you go to class you should review your notes. This will help you be able to follow along with the class discussion much easier. It is very important that you go to class. You will not be able to get all of the information that you need by reading alone. Many professors will go over material in class that is not discussed in the reading. This will put you at a great disadvantage when it comes time to take an exam. Law school can be very difficult. If you want to succeed, it is important that you pay attention and participate in class. You may not realize it, but even when you are in class you are studying. Some students spend the class checking their email, answering text messages, and updating their social media profiles. While you are doing this, the information being taught will not be absorbed. You should also participate in class. When you are part of the discussion, you will remember more of what you are learning. When you are part of a study group, you have a great advantage over those who are not. First, when you are in a study group, you are forced to study. Law school students who are not in a study group can procrastinate, and put studying off until it is too late. Also, when you are part of a study group, you can get different perspectives on what you are studying. If you are unsure about something, someone in the group can help. Before a big exam, you should take practice tests. It is a good idea to take as many tests as you can get your hands on. Many law school libraries hold copies of tests given by professors in the past. These tests are a great way to gauge your knowledge of the subject, and study more of what you don’t know. You should understand that law school is much more difficult than undergraduate school. Because of this, you need more than a few hours the night before an exam to prepare. It is best to study a bit each night to retain the material, and give yourself several hours the day before the exam to prepare. 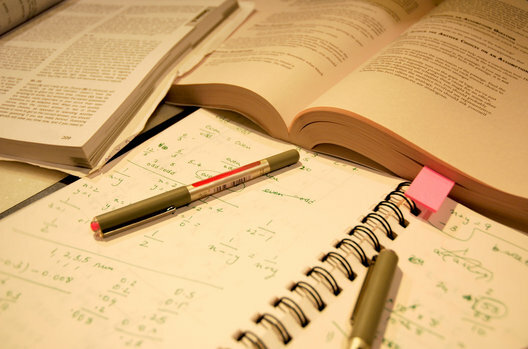 When midterms or finals are approaching, you should create a study plan for yourself. You can do this by creating a schedule of what you need to accomplish each day. This will prevent you from rushing at the last minute to cram as much information in your brain as possible. If you want to be successful and learn more at Brickfields Asia College, the above study tips will help you a great deal.